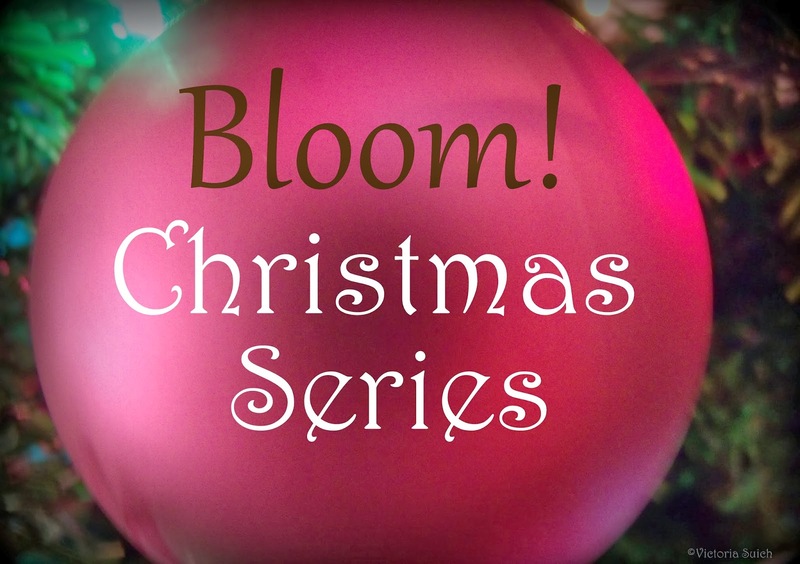 We're excited to start our annual Christmas series here on Bloom!. We hope this series is one that lifts your spirit and encourages you to truly focus on our Savior during this special Christmas season. What pops into your mind when you hear friends talk about Christmas? Christmas parties, decorating cookies, receiving gifts? That magical, nostalgic feeling? Gathering together with family and friends? We love this special holiday. We get together with long distance relatives, bake pies, and sing old Christmas carols. We delight in attending white elephant parties, ice skating, and drinking hot cocoa. It's a lot of fun! one. Get involved in your church's special Christmas programs. This might mean coming early on Sunday morning to help set up, bake some goodies, or watch the kiddos. Whether it seems big or small, this a great way to be His hands and feet and encourage others! two. Do a "random" act of kindness. This could be paying for the person's coffee behind you, babysitting for a tired mom, or leaving a gift on a neighbor's doorstep. Though it might seem kind of random, I know from personal experience what a huge impact this can make! Pray for the person whom you chose to bless, too. You never know how God can take something small and do something grand! three. Comfort the hurting, hopeless, or lonely. There are many ways to accomplish this. It could be a family member who needs you to sit down and pray with them. Or it could be giving a hug and an encouraging word to your friend. Or maybe you could go visit a nursing home, leave a note for the girl whose dad just died, or go Christmas caroling. Whatever it is, make sure to speak and act in His abundant love and truth. It's a beautiful thing when you do, one that Jesus loves to see and use. four. Make your gifts matter. This doesn't mean you have to spend tons of money or time on thrm, but it does mean to put thought and Truth into them. For example, you could bake cookies and give a plate to a neighbor, along with a Christmas card sharing about Jesus. Another great way to give a gift that matters is by choosing a soccer ball, Bible, or education from a gift catalog through Samaritan's Purse or World Vision. That way you can make a difference in a life and give it in honor of a friend or family member. five. Serve your family. All too often we get so excited about "going out there" and helping others, that those close to us can get overlooked. Don't let that happen this Christmas. Spend quality time with your siblings - play a game, read the Christmas story to them, or make gingerbread houses together. Give a hand to your parents, asking them how you can help. Whatever you do, simply being available and willing can often be a big blessing to your family! These are just five things to get you started. Pray about it, sisters, and see what the Lord lays on your heart. Maybe He prompts you to do all five or to just focus on one. He might show you something totally different than what we have listed here. Whatever it is, go do it wholeheartedly and shine for Him this Christmas!